Do you remember the jingle from the Klondike® commercials, “What would you do for a Klondike bar?” with people doing silly antics to earn one? What if the stakes were higher than just a square chunk of chocolate-coated ice cream? What would you do for $100? $1,000? $1,000,000? Would you eat bugs? Would you violate your moral convictions? Would you put your life at risk? In this age of reality TV, it’s obvious that many people will do just about anything for attention: live in the wilderness for months, subject themselves to public scrutiny and berating, face grueling physical challenges, even marry a virtual stranger. What if the stakes were higher than just a few minutes of television fame or a prize jackpot? What if the stakes were eternity? The Amplified Bible translates Psalm 125:3 as: “For the scepter of wickedness shall not rest upon the land of the [uncompromisingly] righteous, lest the righteous (God’s people) stretch forth their hands to iniquity and apostasy.” Uncompromisingly righteous … that seems to mean that people who otherwise live righteously still make unrighteous choices sometimes. We compromise. We give into lesser stakes—but for what? For fame? For glory? For something that feels like love? For a sense of self-worth? For spite? The Psalm goes on to say, in verse 5, that our “crooked ways” boil down to our indifference toward God. When we compromise, we say to the Lord that we don’t care what he thinks. The Bible is clear that God does not want anyone to perish (John 3:16, 2 Peter 3:9), but when we turn our backs on him, sometimes he lets us keep walking. Psalm 125 ends with a sobering image of God’s people walking off with evildoers. Is any amount of worldly gain worth separation from God? Our local grocery store has an awesome bulk aisle where I buy spices and seasonings. I can get a little zip-bag of cinnamon for less than a buck, whereas the shaker bottle would cost a few dollars. I saw the other day that they had lemon pepper seasoning, so I got a baggie full and decided to give it a try with some frozen tilapia. I didn’t set out to make a gourmet meal, but I had a basket of citrus fruits that I bought from one of my students who was doing a fundraiser for Ag, and they needed to be used soon. So, tossed the fillets in the lemon pepper seasoning, then I cut up a lemon and squeezed the juice over the fish and topped the fillets with some lemon slices. I baked six fillets at 400 for about 20 min total (flipped halfway through and squeezed some more lemon on them). 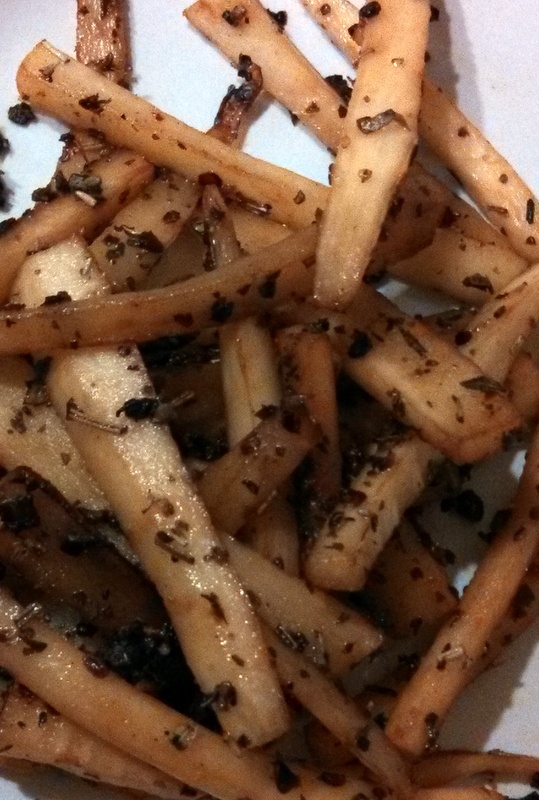 Run the onions in a food processor until coarsely chopped. Add all the other ingredients & blend until mostly creamy. Serve with celery sticks, tortilla chips, or just lick the bowl (remove the food processor blade first!). Lastly, I had a small jar of pesto that I found on sale and thought it would be yummy with pasta. I tossed it with some fettuccine and a drizzle of olive oil. 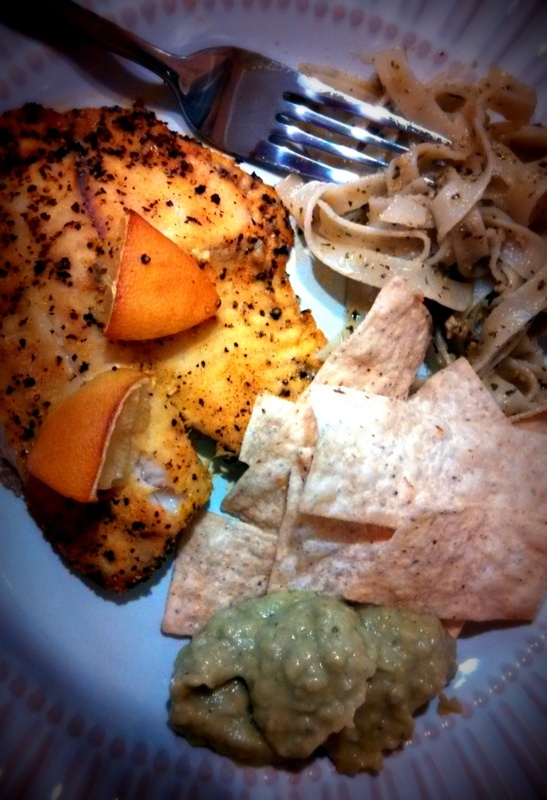 It was pretty good, but I needed more pesto for the quantity of pasta that I made, so the flavor was sparse. All in all, it was a pretty delicious thrown-together supper for a Saturday when I actually had a bit of time to experiment in the kitchen. 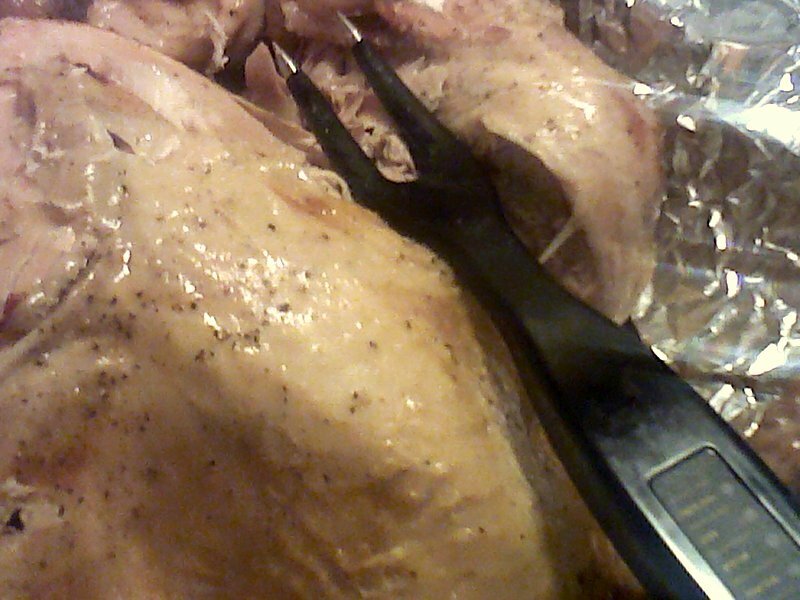 Writing a dissertation feels a lot like preparing Thanksgiving dinner. 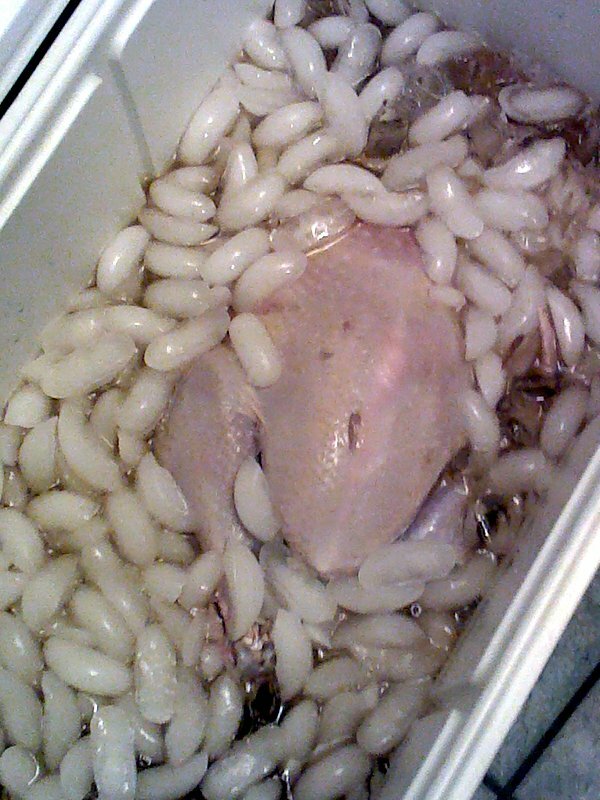 You can’t do much of anything until the turkey thaws out, and at the risk of insulting anyone by comparing them to frozen poultry, that step reminds me of selecting committee members. It doesn’t make much sense to start the green bean casserole or sweet potatoes at the same time as the turkey, but those are still important elements that can’t be overlooked later on. It helps to jot down a menu or shopping list, just like it helps to record brainstorming ideas and potential source materials for future reference. While the turkey is smoking (or in the oven, if you prefer), you need to tend to it now and then, even while you are working on other dishes. That’s the step that I feel like I’m at, right now. Over the weekend, I received feedback on Ch. 1 from my committee chair AND feedback on Ch. 2 from my advisor. I’m also working on my first draft of Ch. 3. What all this means is that I need to send revisions on Ch. 1 back to my chair for her approval before sending it to the rest of my committee, as well as send my initial edits on Ch. 2 to her for review. When I’m at a stopping point on Ch. 3, I will send it to my advisor for the first green light (and second-draft revision suggestions) before sending it to my chair for further review. My chair will send feedback on Ch. 2 probably around the time that my advisor responds to Ch. 3. The huge round table seated a dozen people and reminded me of King Arthur tales, except the décor in the room was predominantly red and distinctly Chinese. A Lazy Susan, slightly smaller than the table, was filled with dishes of exotic and largely unrecognizable food. The host slowly spun the disc to each guest and invited them to serve themselves from the array of dishes. Visiting a foreign country involves acclimating to certain cultural norms, not the least of which is food. In the case of the scorpions (and on another occasion, dog meat … but that’s a story for a different day), to have refused the dish would have been highly offensive to the host. Other translations say that Paul “became all things to all people” for the sake of the gospel. That means getting on their level and doing life like they do, even if it’s uncomfortable or awkward. We need to be willing to step out of our comfort zones and relate to people where they are at. (And I’m not just talking about foreign missions; this pertains to our local community, as well!) When we do that, then we begin to break down stereotypes from both directions: our worldview changes as we build relationships with people outside of our bubble, and the world’s perception of us/Christians improves as we turn hypocrisy on its ear. The hypothetical Lazy Susan is heading your way … what are you willing to do for the sake of the gospel? 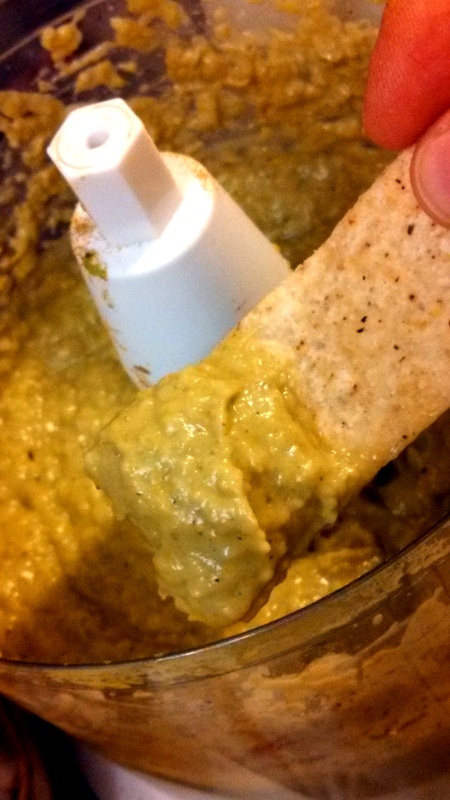 Last week, my 12yo offered to help me make a batch of salsa verde for a fundraiser contest. It was a fundraiser for scholarships, and I signed up to participate long before I realized that it would fall on the same week that I would be trying to finish a research paper (not to mention shortly after the attack at the Boston Marathon, the explosion in West, Texas and a shooting in a neighboring town that was too close to home, among myriad other stress-factors this week, which is why I’m just now getting around to posting the recipe). 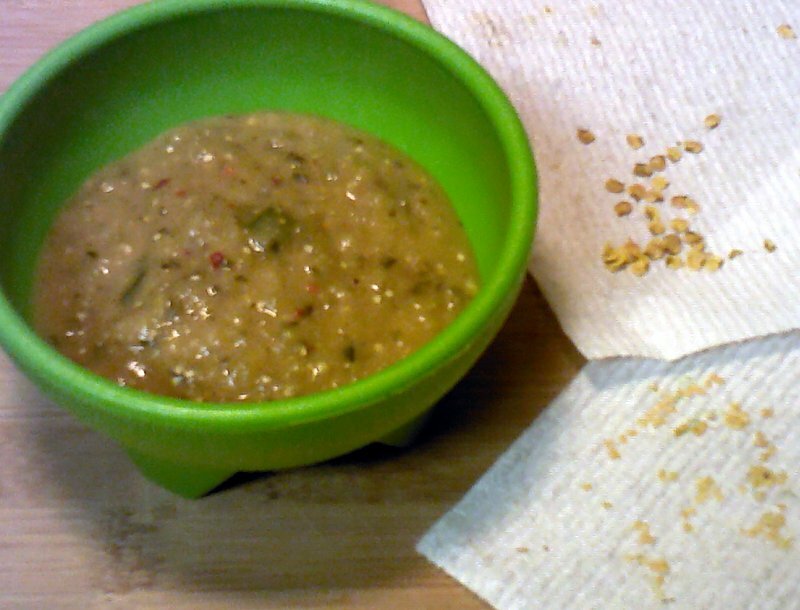 We saved & dried several poblano and tomatillo seeds for our garden. We came up with a recipe that is a little sweet at first and then finishes with a slow burn. I would gauge it about a “Medium” on the salsa heat-index. 🙂 What a wonderful surprise to find out that our salsa raised ~$170 for scholarships and won the contest!! 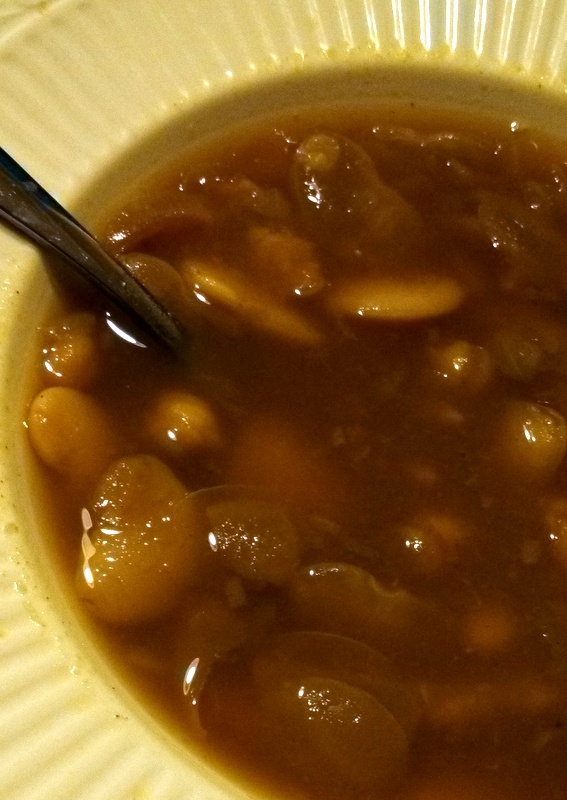 I promised folks that I would share the recipe after I finished my paper … Hallelujah, I turned it in this morning! Woohoo! My semester is officially finished, which means that I have only ONE more “real” class to take this summer before beginning my dissertation in earnest this coming fall. I’m so excited that I can hardly think straight … or perhaps that’s the exhaustion. Whatever. Blanch the tomatillos until they feel a bit soft when poked with a fork, but while the water is heating up, you can take care of the onions and poblano. Cut the onion into slivers and saute in olive oil until it starts to caramelize. In the meantime, put the poblano on a baking sheet and broil at 450 for about 3-4 min, until the skin starts to blacken — keep an eye on it, so it doesn’t burn. Drain the tomatillos. Put the cilantro, tomatillos, poblano & onion in a blender with vinegar. Blend (we used the “mince” and “grind” settings) until well mixed. Squeeze juice from 1/4 of a lime (watch for seeds) & pulse to blend. Add 3-4 squirts of Sriracha sauce (to taste) & pulse to blend. Our batch made about 1 qt. Depending on the size of your tomatillos and onion, you may end up with a little more or less.